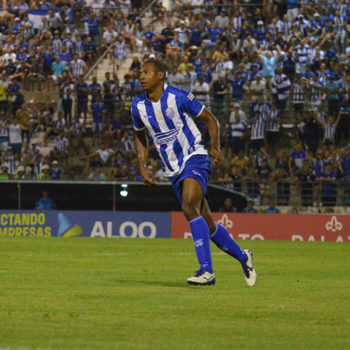 After a classification in the final minutes, the CSA, from striker Josimar, is in the final of the Championship Alagoas, where he will face a classic against the CRB in two games, the first being this Sunday, at 16 am, at the Rei Pelé Stadium. To win the place in the decision, a lot of determination was necessary, since the team was practically eliminated at the end of the second half for the ASA. “It was a heroic classification, of a determined team, that in adversity does not give up, and fights until the last minute. We had a greater volume of play than the opponent, we created many opportunities. And at 51 minutes of the second half, we were blessed with the victory, “said the Striker. On the first match of the final, Josimar asked the same will so that in the end the CSA reaches the title. “It’s going to be a difficult game because it’s a classic. We can not think we’re favorites. They are favorites, as they finished first in the group stage and will make the second game home”. Before the decision, however, the team returns to the field by the Northeast Cup. This Thursday, faces the Sampaio Corrêa, at 19 hours, for the sixth round of the competition.